Cardiff City boss Neil Warnock is hoping his side's problems in front of goal will come to an end on Sunday when the Bluebirds take on Arsenal. Cardiff have failed to score in their first three Premier League games of the campaign, although they have got two points after goalless draws against Huddersfield Town and Newcastle United. Warnock's team, who lost 2-0 at Bournemouth on the opening weekend of the season, were also knocked out of the Carabao Cup on Tuesday when they were beaten 3-1 at home by Championship side Norwich City. 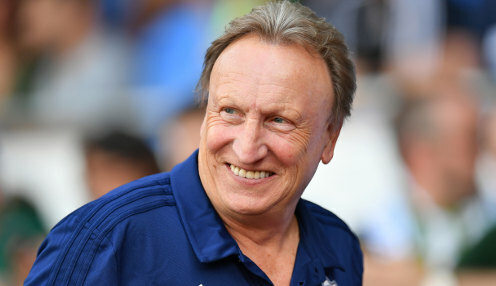 The veteran Cardiff manager insists he has been happy with his team's displays in the first three weeks of the season though, saying: "I think the lads have given everything they can and I've been quite pleased with the performances. In every game, we could have got something. "But as you go higher up the leagues you've got to take your chances. I want to enjoy the games against the big boys, if that's possible. My tactics have got to reflect that, and that's by giving us a chance to score goals." Cardiff, who are 14/1 to draw 0-0 against the Gunners, can be backed at 18/1 to beat Unai Emery's side 1-0.